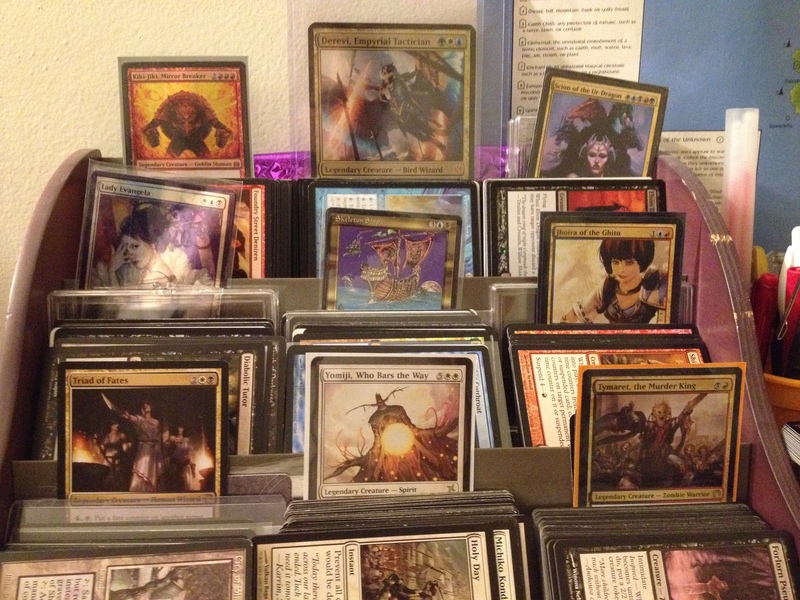 Ins and Outs, wherein I talk about new decks and mention some changes to old ones. Even though I was briefly caught up, I am now behind in playing my decks again. I have two built that have yet to be played. On top of that, all of the following are currently in the works. It will be awhile until some of these are done. KJ, Pirates and Yomiji are probably the closest, where Jhoira and Mogis are still just barely a flicker of an idea. I also made some adjustments to other decks. Here’s what came out. I swapped out Auratouched Mages in Bruna and Krond for the new 2-enchantment tutor. I decided to downgrade (in power) several decks to upgrade for theme and fun. You’ll notice that quite a bit of Poison and Annhilator got pulled. Some Moderate snow hit the East Coast, and some cold-enough temperatures made for freezing rain. Since I work at a School, that means I had two days off. 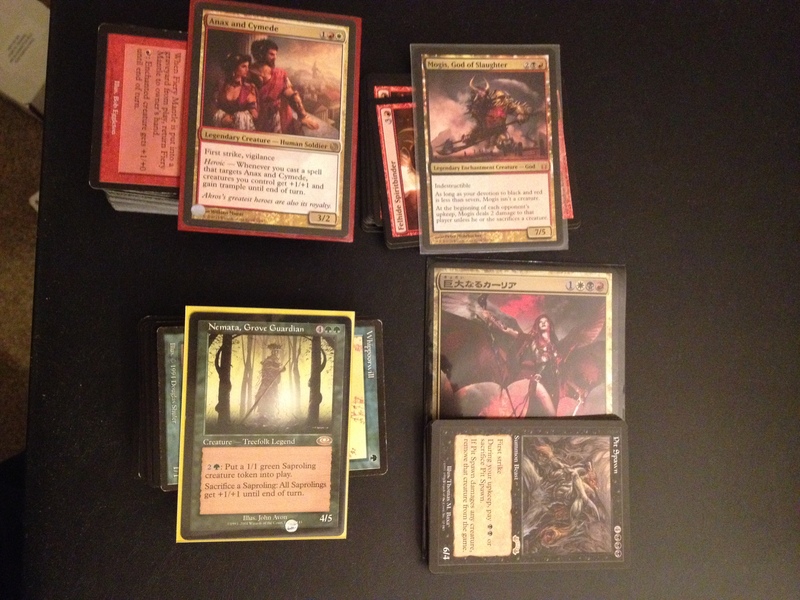 This led to quite a bit of spending on cards, and quite a bit of deck building, including.